ZOMG that movie looks amazing. Lots of great character/comedy there. This is off-topic - I tryed to do this via the 'contact' page but it ends in "page cannot be displayed" after I hit submit. Well, I did a Google search on my name and as it turns out your a much more popular Josh Burton than I am, haha. I did think your profession was interesting enough that I'd drop you a line though. I've got an Associates in graphic design, and I'm working on a bachelors in photography and sculpture. We be arteests! It must be the name... what can I say? It's such a good one to have. Anyways, you are a very talented artist, keep up the awesome work. 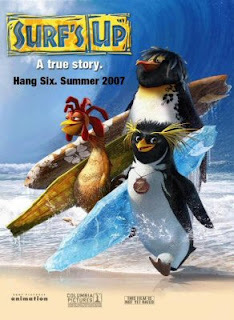 Not to sidetrack things, but what did you think of Happy Feet? Matt, I'm afraid I haven't seen it my friend. It didn't really grab me, but I'll probably pick it up one of these days.